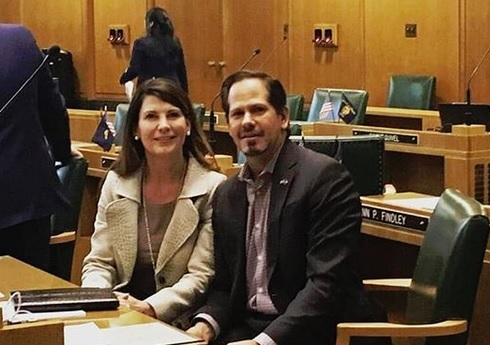 It’s a common refrain among politicians from both political parties that they all support small business with a recognition that it’s the “back-bone” of Oregon’s economy. Unfortunately, too often this rhetoric isn’t matched with policy results. This is precisely the problem with SB 1528 approved by the legislature during the recently completed session – despite bipartisan opposition and essentially no rationale for the legislation other than “we want the money”. What SB 1528 does is raise roughly $244 million in new tax revenue over the current budget cycle and is projected to raise $1 billion over the next decade by denying nearly 300,000 small businesses in Oregon tax relief they were set to receive under the recently approved federal tax reform legislation. Data from the Oregon Department of Revenue shows that most of these 300,000 businesses are made up of enterprises employing one-to-two people. In other words, sole proprietor and mom and pop businesses, most probably working out of their homes. This is a cash-grab pure and simple targeting businesses who don’t have the lawyers, lobbyists and accountants who can fight back. SB 1528 is so bad and so unfair, there should be no other option than to veto this massive tax hike that will hurt small businesses and Oregonians. Governor Brown should veto this bill, without hesitation. Oregon state government has never had more money than it does today. Spending for the next two years is up – way up. But despite record taxes being paid by Oregonians, Salem wants more. In the past two years, Gov. Brown and Salem Democrats – at the urging of their government union and other special interest allies – have proposed billions in new taxes. A $6.1 billion tax on sales on Oregon consumers. A $1.4 billion new energy tax. New taxes on inner tubes, paddle boards, used cars, beer, wine, coffee and sprits. And, Gov. Brown passed an additional $1.2 billion in taxes just over the last two years. A new statewide payroll tax to fund transit in Portland and tolling for commuters on Portland-area freeways. I voted against them all. What’s driving Salem’s ever-growing tax appetite? One big driver is runaway pension costs that each year—despite growing tax revenue into governments, cities, counties, school districts and state government—consume a growing percentage of spending. Nowhere is this more devastating than its impact on local school budgets. For example, the past year the Salem Keizer school district allocation from the state increased by $31 million but still had to cut teachers to pay for pension costs. This is happening all across Oregon. The solution to this problem is not SB 1528 – raising taxes on small businesses. It’s to pass cost-saving reforms to fix a broken pension system. Tax hikes are just a bail-out. Governor Brown has a unique opportunity to not only come to the rescue of thousands of small businesses about to get kicked in the teeth by this tax hike, she can also demonstrate her independence from the far left fringes of her Party – something she never does. These 300,000 Oregonians need a Governor on their side, not just a tax collector for a growing government with an unsustainable state budget.